Dr. Stephanie Cooper-Lewter asks the question: How can we challenge traditional ways of doing things, in order to create a more equitable future for all? On Friday, December 7, 2018, hundreds of creative Charlotteans packed the halls of LaCa Projects – where our chapter first launched 38 months ago – to celebrate our 3rd Birthday (!) and explore our global theme of “Tradition.” From her incredible start as a baby left on the doorstep of Mother Teresa’s orphanage in India, to her role today as Executive Director of Leading on Opportunity, our speaker Dr. Cooper-Lewter’s talk is a timely and moving meditation on what it takes to create new Traditions that will lift up everyone in our community. 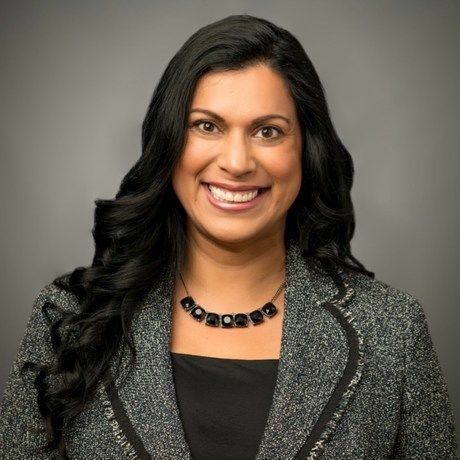 Dr. Stephanie Kripa Cooper-Lewter is a longtime leader in the nonprofit and philanthropic communities, devoted to the cause of equal opportunity for all. She is the Executive Director of Leading on Opportunity, charged with addressing the finding that Charlotte ranks last among the 50 largest U.S. cities in upward mobility. Dr. Cooper-Lewter comes to Charlotte from Columbia, S.C., where since 2016 she served as Vice President of Initiatives and Public Policy for the Sisters of Charity Foundation of South Carolina. With assets of $110 million, the Foundation has invested more than $67 million statewide over 20 years to reduce poverty. She managed the Foundation’s organizational strategy and mission effectiveness, ensuring community engagement and impact. Her signature portfolios included supporting fatherhood, immigrant families, kinship care and advocating for public policy system changes. She also led the Foundation’s diversity, equity and inclusion investments statewide. Before joining the Foundation staff in 2009 as Senior Research Director, she served from 2007-2009 as Director of Research and Evaluation for Healthy Learners in Columbia, helping children secure access to basic health care. She previously served (2002-2004) as President & Chief Executive Officer of Big Brothers Big Sisters of Greater Columbia. In that role, she was the first Indian American CEO in the United Way of the Midlands community partner network. While living in Minnesota, she worked as a school and hospital social worker, as well as in child welfare. In all, she brings nearly 25 years of experience to her nonprofit service. Dr. Cooper-Lewter’s inspiring story informs her passion. Left in a cradle on the doorstep of Mother Teresa’s orphanage in Kanpur, India, she was placed with an Indian foster family. She arrived in the United States as a toddler on an immigrant orphan visa through international adoption. Her American adoptive mother raised her in Minnesota. Difficult beginnings taught her to see the infinite possibilities in any situation, no matter what the statistics predict. With community support, Dr. Cooper-Lewter, 45, transformed her own young adult challenges into achievement as a single mother. At age 22, with her two-year-old daughter beside her, she graduated in 1995 from Bethel College in St. Paul, Minn., with a Bachelor of Social Work degree. She went on to earn a Master of Social Work degree from the University of Minnesota in 1999. In 2012, she received her Ph.D. from the University of South Carolina’s College of Social Work and received the 2017 Alumna of the Year Award. In 2013, she completed the Certified Personal and Executive Coaching Program through the Coaching and Positive Psychology Institute. In 2015, she became a graduate of the Spring Midlands Diversity Leaders Initiative through the Riley Institute at Furman University and is a Riley Fellow. She currently serves on the Board of Trustees for the Southeastern Council of Foundations, and previously served as a Board member of Grantmakers Concerned with Immigrants and Refugees.